Magnetic resonance venography (MRV) is an imaging test that is used to visualize veins in the body. Veins are the blood vessels that bring blood from your body's organs back to your heart and lungs, so the blood can be replenished with oxygen and nutrients. It may not surprise you that an MRV is done using the same medical equipment that is used for magnetic resonance imaging (MRI), which is a large machine that uses a sophisticated and fascinating technique to create a picture that represents what is going on inside the body). More specifically, an MRI machine uses specialized magnets that "read" information, which is then sent to a computer with a built-in, calibrated software that can interpret the information generated from the magnetic equipment. This information is used to recreate an image of the body, which your health care team can look at as they evaluate your medical problem. An MRI machine can be adjusted to visualize images of different parts of the body, including shapes, solid areas, and blood or blood vessels. 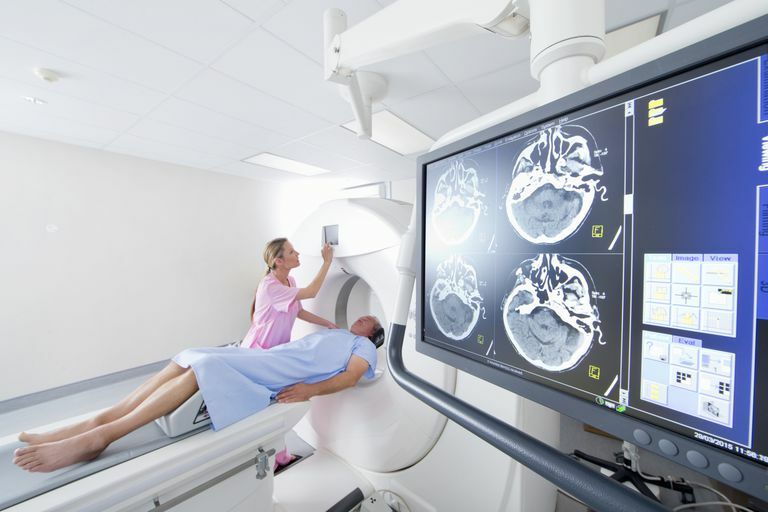 Sometimes an MRI is used to view tumors, traumatic injuries, and diseases such as stroke. With visualizing blood vessels, it's important to not confuse Magnetic Resonance Angiography (MRA) with an MRV. An MRA is used to look at arteries (a type of blood vessel that brings oxygen-rich blood to the body's organs) while MRV looks at veins. MRV is used to assess blood flow in the veins and can detect blood clots or other abnormalities. Most of the serious blood vessel diseases, such as stroke and heart attack, are caused by problems with arteries, not by problems with the veins. In general, diseases of the veins are less common than diseases of the arteries. Also, more often than not, medical conditions that involve the veins tend to be less serious than conditions that are caused by arterial disease. This is why it's more common to hear about MRI (which creates a picture of the organ itself, not so much the blood vessels) or MRA (which is focused on creating a picture of the artery) than it is to hear about MRV. The big picture here is that if you need to have an MRV, it's likely that your doctor is evaluating you for a less common health problem that may take a while for diagnosis. Some of these problems include structural vein abnormalities or blood flow problems in the brain, developmental venous abnormalities in a very young baby, and/or blood clots that affect veins, rather than arteries. One specific condition that is evaluated with an MRV is called cerebral venous thrombosis, which is a blood clot in the veins of the brain. While strokes and brain disease are highly uncommon in young women of childbearing age, there is a slightly increased risk during pregnancy. In addition, sometimes, the brain structure of a developing baby or a young infant may not appear as expected, and a brain MRV may give some insight into whether blood flow or abnormal structure of the veins could be a contributing factor. Lastly, conditions such as intracranial hypertension or normal pressure hydrocephalus (NPH) can cause neurological symptoms, which can be evaluated with an MRV. An MRI machine uses a magnet, and therefore you cannot have an MRV (or an MRI or MRA) if you have an implanted metal device in your body. The force of the powerful magnet used in the MRI machine can cause serious problems, such as dislocation of the magnet or injury. Similarly, if you have a pacemaker, the magnet can cause the pacemaker to malfunction, with potentially serious consequences. MRV is not a common diagnostic test. If you are being evaluated for a special medical condition, or if you have a medical problem that is taking a while to diagnose, you may be apprehensive about what to expect. As you are going through this process, be sure to get the most out of your healthcare by asking questions and communicating with your medical team. How is the NIH Stroke Scale Used for The Evaluation of Stroke?